The Accuris SmartBlue™ is the perfect transilluminator to use with the most common safe DNA stains. Safer for samples, safer for you: The SmartBlue™ Transilluminator is the perfect partner for the most common safe DNA stains. 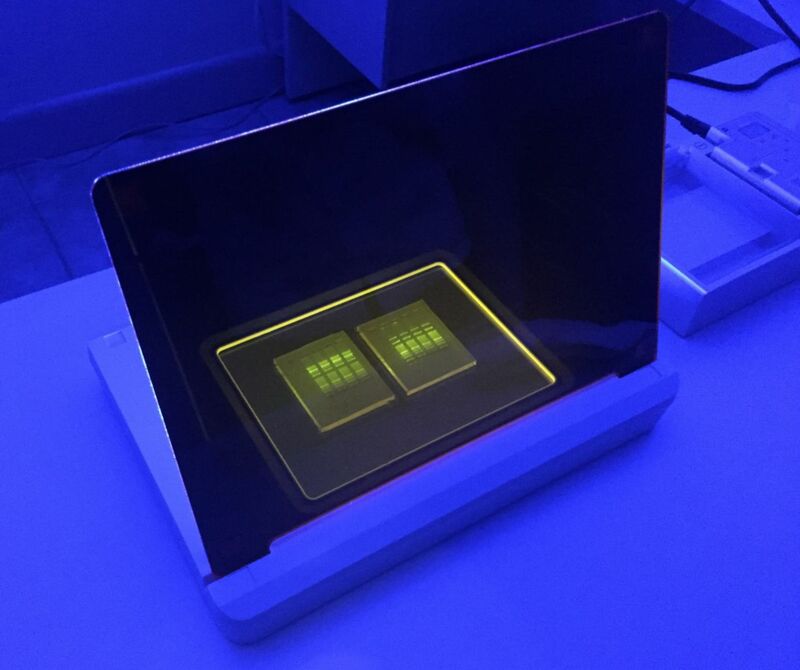 It emits blue light at a wavelength of 465nm, perfect for excitation of most green fluorophores, including our Accuris’ SmartGlow™, SYBR Green, SYBR Safe, SYBR Gold, GelStar, GelGreen, to name a few. The SmartBlue also works for excitation of EtBr. The visible blue light is not damaging to the user’s skin and is less harmful to the eyes (though staring directly at the light without the amber cover is not recommended). Two position filter cover: The SmartBlue transilluminator requires no special shielding, however, the light does need to be filtered for visualization of the dyes. 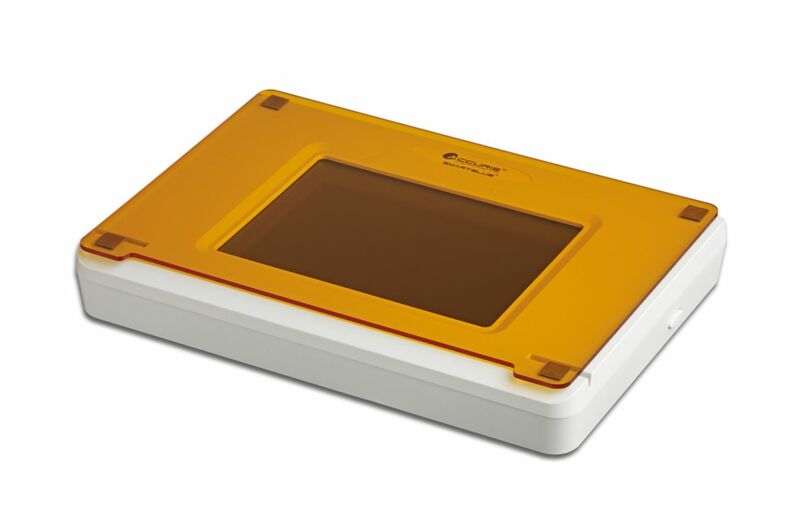 The amber cover, which rests above the viewing surface and gel, filters out the blue light, allowing the bands to be seen clearly. The cover can be placed at a 60° angle to provide easy access to the gel for band excision. For documentation, the filter cover is easily removed completely. Caution: The SmartBlue™ product uses high intensity LED lights. 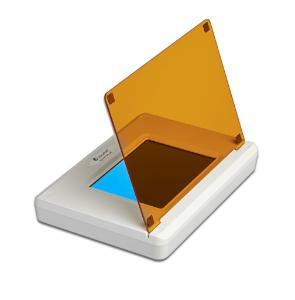 Although the visible blue wavelength is significantly safer than UV light, it is recommended to not stare directly at the viewing surface without the amber cover in place.